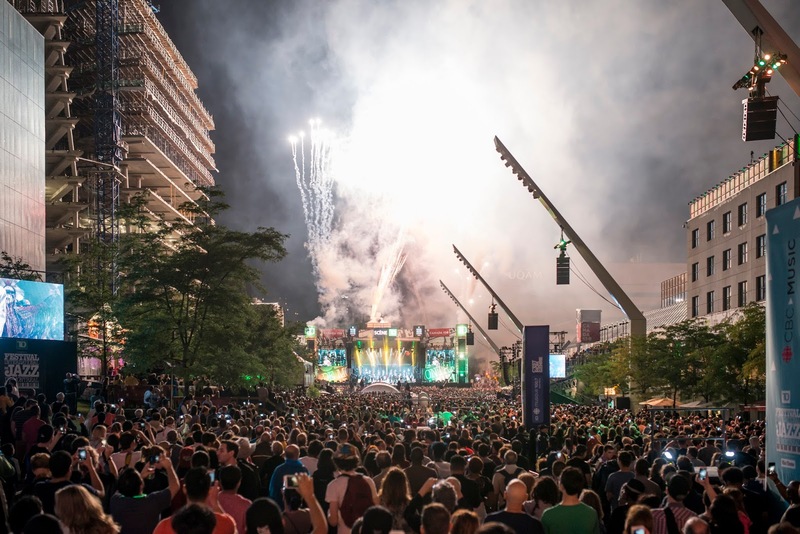 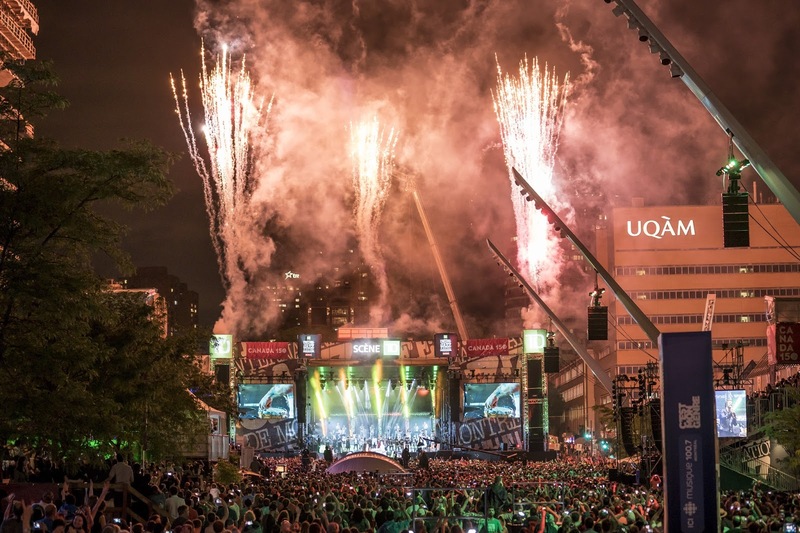 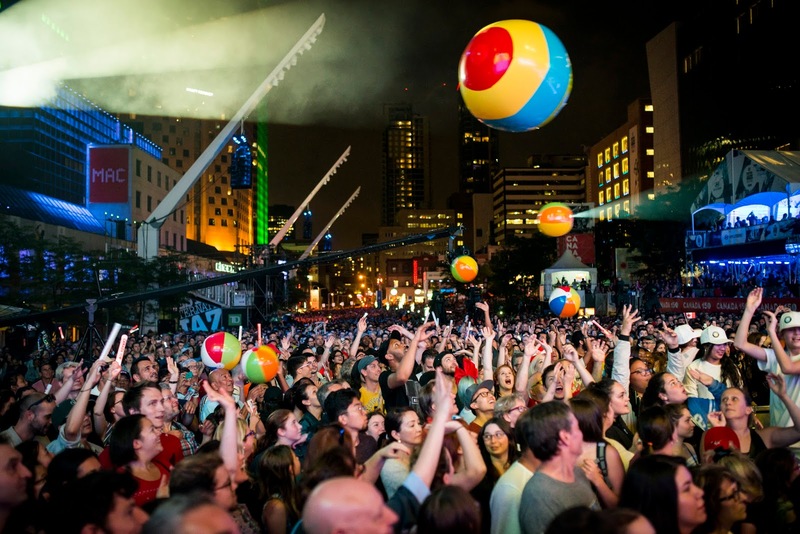 The main Saturday night event at the 2017 Montreal Jazz Festival was a free-entry "discotheque" celebrating the Canada 150 in the Place des Spectacles. 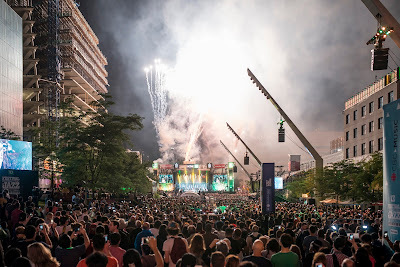 These superb pictures by the Festival's official photographer Benoit Rousseau do communicate the very special atmosphere....but they don't tell you what happened next. 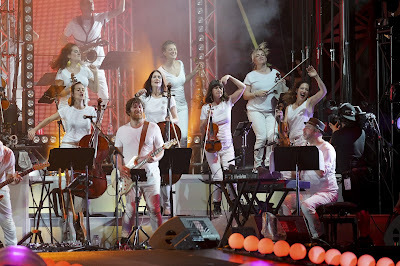 Half an hour after the 10pm firework display, there was a torrential, you could say biblical downpour. 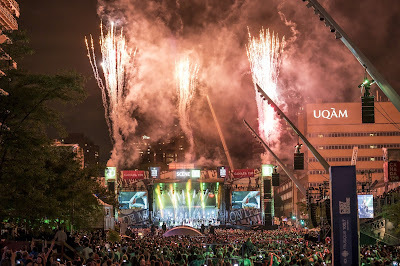 That said, it takes a lot to dampen the spirits of about 50,000 Montrealers and visitors out to have a good time on a summer night on a holiday weekend in the city.